photos taken from Russell Voges’ Facebook, but might have been taken by Ms Barbara Cannegieter. 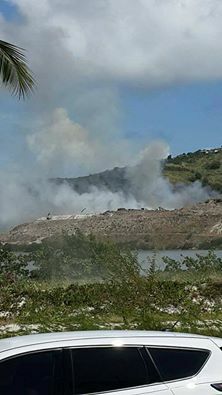 GREAT BAY, Sint Maarten (DCOMM) – The Fire Department, is advising persons living downwind from the landfill fire, to close windows and doors, especially persons who have a respiratory challenge, and for persons who suffer from asthma, shortness of breath, or any other respiratory challenges. 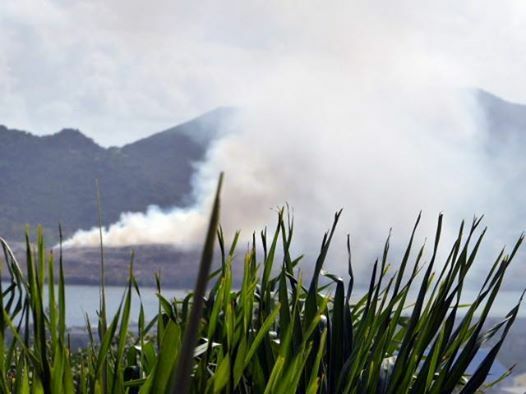 The Fire Department is monitoring the situation at the landfill on Pond Island. The company responsible for the management of the landfill is working diligently to get the fire under control. The smoke from the fire at the moment based on the prevailing wind is heading in the direction of Sentry peak. Barbara Talks! A St. Maarten Blog! SXM’s Dump: An Online Petition! I posted about our scenic attraction, “the dump”, back in May. Apparently while we were off island, there was another huge fire at the dump. People are just so sick and tired of these fires….with “sick” being the operative word here. When the dump catches fire, people can smell the smoke and experience a variety of ailments….burning eyes, scratchy throats, allergies, etc. And God only knows how toxic those fumes are and what more serious problems may arise for people in the future. Apparently someone has started an online petition to allow people to sign their objections to this situation and express their demands that the government do something about it. Since I was off island and have not caught up to all the news, I learned about this online petition by reading about it in The Daily Herald. Of course, I immediately went to the web site and signed the petition. They have collected over 200 signatures, and the signatures and comments are very interesting to read. I don’t know if the petition will have any effect, but it clearly will raise awareness and let the government know how many people are truly pissed off at how this toxic situation can be allowed to continue. What the petition doesn’t say is that there also are homeless people and dogs living out there also. Can you imagine? 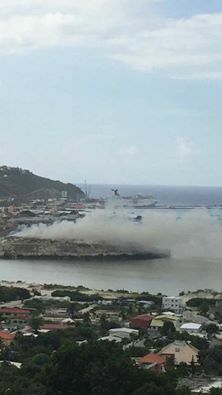 St. Maarten is just not taking care of its people or its animals and that is a sad state of affairs. We are building more and more hotels and better facilities for cruise ship passnegers, but we cannot close a toxic dump that is probably poisoning everyone. There is something wrong with priorities here!